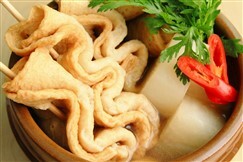 Odaeng or eomuk is processed seafood made from ground white fish, potato starch, sugar and vegetables. 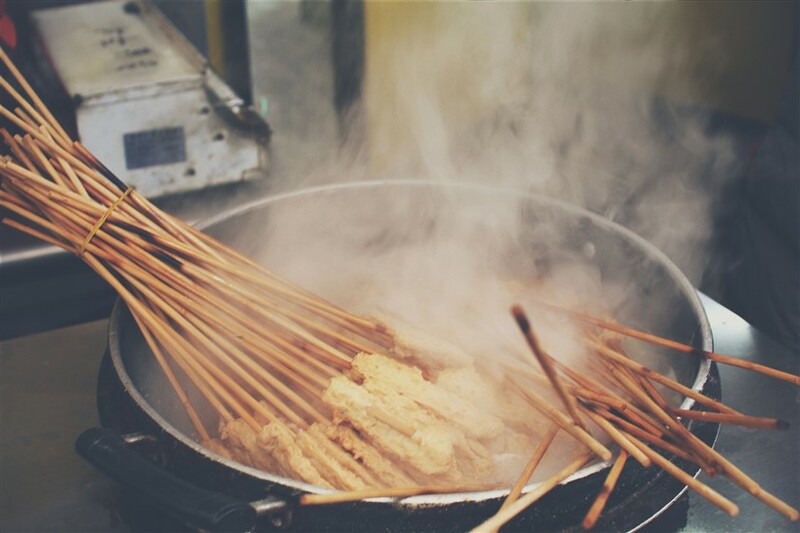 Odaeng is popular as a street snack in Korea and is usually placed on skewers and boiled in a radish and kelp broth. 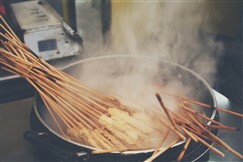 This version of odaeng is called kkochi eomuk and is often found near or on the same stand with tteokbokki (rice cakes). Odaeng can also be found in most Korean grocery stores but for those who prefer to make it at home, odaeng is an easy snack to make. The ingredients used in making odaeng are varied and easily personalized but one of the most common recipes is to mix fish, onions, garlic, salt, sugar, ground white pepper, vegetable oil, flour, starch and egg white together in a food processor. The resulting mix is then rolled and fried until brown and crispy. You can add more pepper as suits you to the recipe. 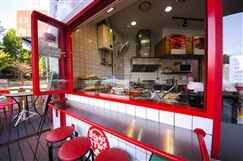 Different seafood can also be added to give variety. You can also use leftover odaeng to make odaeng tang, which is made, by adding odaeng to a broth made of daikon (winter radish), seaweed, soysauce and dried anchovies. Absolutely love these as a midnight snack before going home. Always try to find a place where they put some chilies in the broth. Sooo delicious! A little too processed for me, but a nice snack while wandering the markets. I think I like the broth cup that comes with it even more than the actual snack.